Looking to get out on the water this weekend? 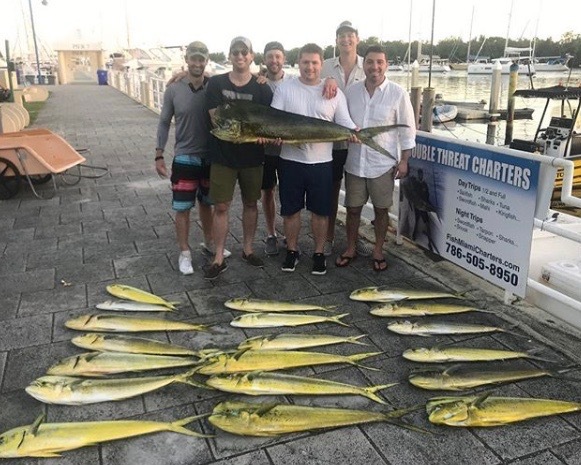 Check out what we’ve been catching off Miami to maximize your success. The fall fishing has gotten off to a slow start, with the usual migrations of blackfin tuna, mackerel, and sailfish a little behind schedule. Don’t fear, there is still plenty of action to be found offshore if you’re willing to switch up tactics. 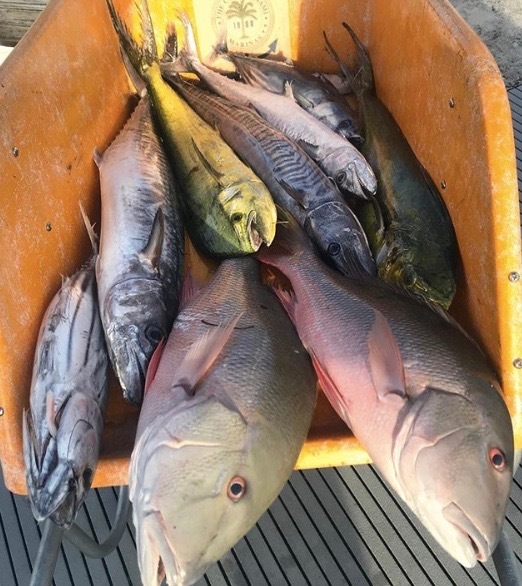 The live bait kite fishing has been slower than to be expected, even when the optimal conditions of blue water and north current are present over the reef. Trolling has been more productive than live baiting, especially in the shallower depths. The migrations of baitfish such as ballyhoo, sardines and herring are finally starting to arrive. Predatory fish know this and are moving in shallow to capitalize on the abundance of bait. Keep an eye out for showers of ballyhoo on the oceanside flats and patch reefs. 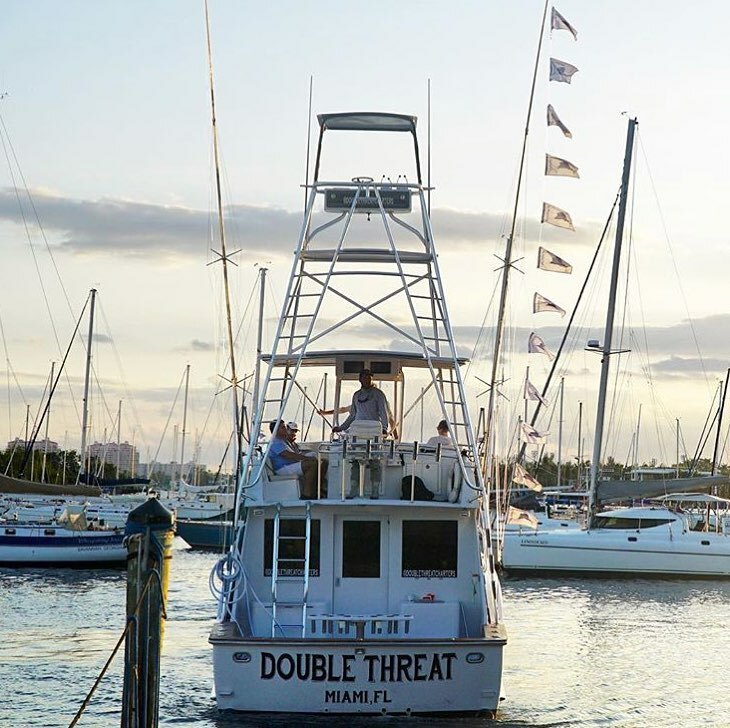 It’s not uncommon to find sailfish, dolphin, mackerel and bonita in as shallow as 20-30 feet chasing large schools of ballyhoo. It’s always worth investigating. Make sure you have some live or fresh dead ballyhoo to troll or free line in the area around the bait showers. 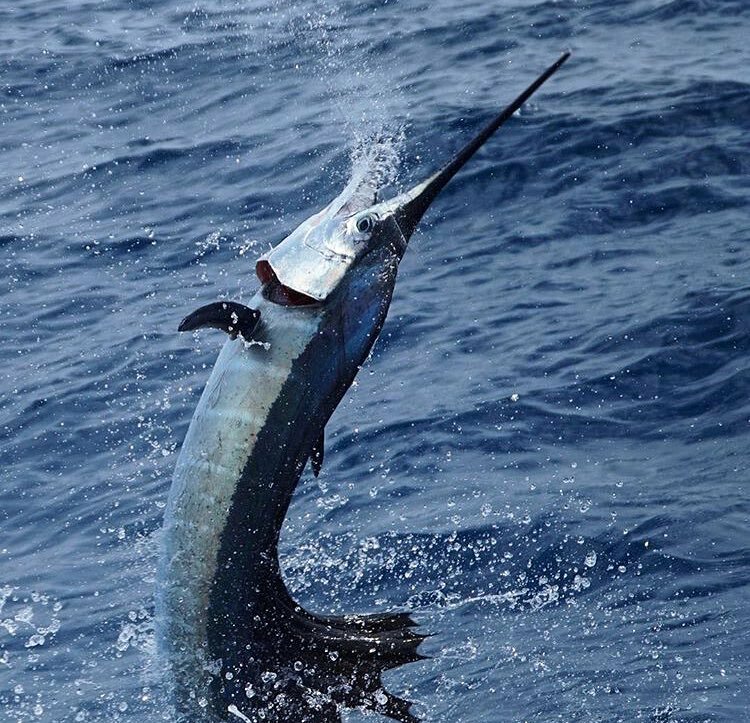 Often times the game fish are keen on only eating ballyhoo, and will pass up on a sardine or other live bait. Matching the hatch is the key to success. Try trolling planers with spoons and sea witches, for big cero mackerel and kingfish. The preferred colors are chartreuse and pink. Large lipped plugs like the Mann’s Stretch 20 and Rapala X-Rap work great too. Don’t be surprised if you hook a black grouper on a swim plug, especially when it’s fished near the bottom around the patch reefs. We’ve been working these areas, particularly from 30-60 ft depths with great mixed bag results. Try anchoring around patch reefs in an area with current and chum heavy. Fresh cut sardines and ballhoo chunks will surely attract the muttons, grouper and mackerel. Use a heavy braid rod with a fish finder rig and live ballyhoo to land those big muttons and grouper. Cast a small spoon or Gotcha jig down the chum slick to target mackerel on light tackle for drag ripping action. If you didn’t get your fill of summertime mahi fishing, you’re in luck. There are still plenty of dolphin offshore, and some big ones too. 500-1000 feet is a good area to start. Look for birds or floating debris to maximize your success. Plenty of fish have been caught on the “blind troll”, areas where no weeds or debris can be seen. Tight lines!